I remember our mother (whose father was Frank Callow)mentioning Mr & Mrs Rogers. NORTON HILL PIT Sir Frank BEAUCHAMP, owned the Norton Hill pit. This was so profitable that it became known as BEAUCHAMP’s Goldmine. The year 1947 saw the end of private ownership with the nationalisation of the coal industry. The Norton Hill pit closed in 1966. This pit had two "heads", old and new head. F Pratten and Co History book- They Started Making SHEDS- The rise and fall of the prefabricated building company F. Pratten and Co Ltd. by Barrie Stevens. 2009. 93 pages. (Copies can be found to purchase - or printed to order by Blurb.co.uk). Book description: For 90 years the prefabricated building company F. Pratten & co Ltd was a major employer in the Midsomer Norton area which is situated in a small town south of Bristol in the county of Somerset. The book contains many photographs and covers the history from the start in 1912 to the closure in the mid 1990's. The book includes extracts from some of the old catalogues and memories from some of the ex employees. 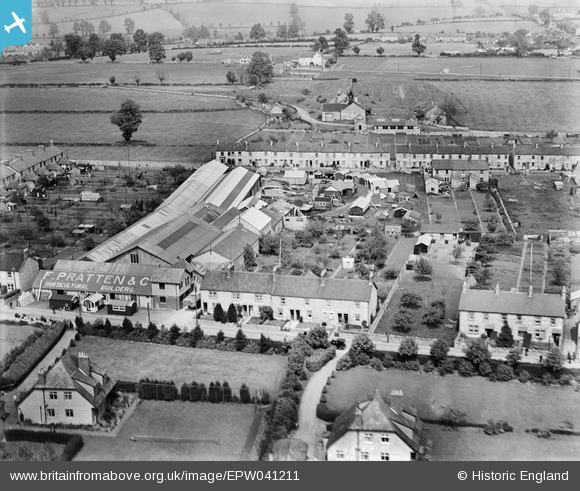 A selection of aerial photographs taken over the life of the factory clearly shows the developement and growth until the decline started after 1980. Advertisement from June 1928 is taken from Graces Guide, licenced under GnuFDL 1.2, compatible with CC BY SA 3.0 - Creative Commons- Attribution- Share Alike version 3. Great to see this picture i was born in this area in 1951, my grand father lived in Hazel Terrace & worked at the pit, & my uncle Gilbert worked at Prattens. Lovely to read the comments - my grandparents' surname was Callow and also lived in Hazel Terrace and grandfather (Frank)worked at Haydon pit.